Superfood smoothies are hands down the best fresh fruit drinks for summer. Not only are these fresh summer drinks incredibly healthy and delicious, but when you add the right superfood ingredients, they can actually help the body heal. This is especially important for high-performance endurance athletes like myself! Here is my latest and best smoothie idea yet for summer! One of my favorite classic summertime activities (almost like being a traveler) is to go support local farmers at the local farmers market. Isn’t the farmers market too expensive? Why is it so important to do these two things? The farmers are the ones we should all hold in highest esteem. They’re the ones who work incredibly hard in a competitive predatorial marketplace. They compete against the big guys like Whole Foods, who really only guaranteed and consistently rip off consumers...by over-pricing nearly everything. Unless produce is on sale it is twice the price or more. 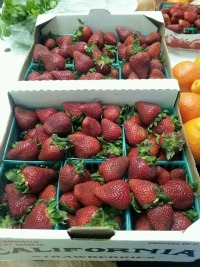 I recommend buying by the box, and not per pound or per item. Since you have already completed step 1, and befriended the farmers, it puts you in a position of mutual respect. And that means you can bargain with them. Not to take advantage of them or to rip them off, but to get the best deal for yourself and for the farmers. When you buy a large quantity of fruit from a local farmer, you help the farmer and local economy as well as getting a bulk discount. That’s something you won’t find at Whole Foods. And what to do with all that fresh fruit you just bought in bulk? There are lots of different options, but smoothies are my favorite! Now you’ll never be out of fruit for fresh fruit drinks. Talk to the farmers to get a better idea of what’s in season when. This is part of the “befriending the farmers” step above…it’s a good way to start conversation. Go seasonal whenever possible, to get the best price AND the freshest flavors. As far as getting a sense of what goes well together in smoothies, it’s simple: trial and error. Experiment to find new combinations for fresh fruit drinks and the one you love the most. This combination is especially great when the purple plums are fully ripe and juicy. They end up sweet but also sour tangy, unlike any other fruit. And the fresh flavor of summer apricots in fresh fruit drinks just simply can’t be beat, like in this apricot smoothie recipe. OK, so now that you have the fresh fruits part covered, it’s time to focus on what makes up the rest of your smoothie. If you’re just looking to make a simple raw green smoothie, you won’t need much more than fresh fruit, green leafy vegetables, water and ice. But for optimal performance, experiment with adding various superfoods to your fresh fruit drinks improve nutrition. There are many different superfood smoothie ingredients to choose from, but what is the best? Remember, the fruit dominates the smoothie. For example, my last one had 4 bananas and 8 plums! Yes, adding so much fruit does make the smoothie sugary. But it's no problem if you counterbalance it with a good superfood powder. So what is the most optimal AND tastiest powder to combine with the fruit? Hemp protein powder is my current favorite protein powder because of its high nutritional value and because it comes from a plant-based, vegan source. Maca powder is full of incredible benefits such as increasing energy, and I love the malty and foamy texture. Barley grass can offset the flavor, so maybe use sparely. But it’s so important to alkalize the body and heal the PH balance in your GI digestive tract. Basically, the sugary, oily and greasy foods we consume (including cooked food, coffee, alcohol, etc.) are all acidic. That means they kill the healthy bacteria in the stomach. This green powder will help neutralize that damage. Finally, this isn’t really a powder but Chia seed is an essential in my superfood smoothie recipes. Pureed they become gelatinous and hydro-absorptive, which is important when you sweat a lot and deplete the body’s electrolytes. Your fresh fruit drinks can easily become superfood smoothies by trying out some of these ingredients. Not only are these fresh fruit summer drinks incredibly refreshing, delicious and healthy, they also have some amazing healing potential. For me, smoothies are the secret to a breakthrough record-breaking recovery. I went from a debilitating leg infection (from travelling abroad in tropical jungles) back to optimal shape in record time! I consume fresh fruit drinks post-workout, within 15 minutes. The majority of my calorie intake comes from liquid meals. Lately, I have actually been taking it a step further and creating my own plant milk! I do that by germinating almonds and other seeds such as poppy and liquefying them into milk. Develop a variety of recipes and optimal taste combinations using local, seasonal fresh fruit. Add in a variety of superfood ingredients to increase the nutritional benefits of fresh fruit drinks. 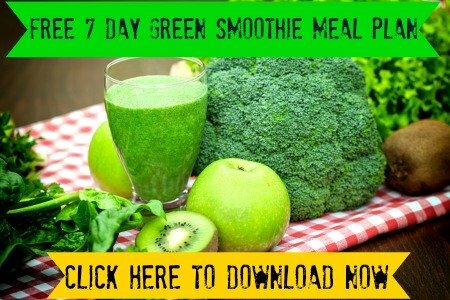 Convert more of your meals from greasy cooked foods to raw, liquid meals and experience the many benefits of an alkalizing diet capable of healing the body!